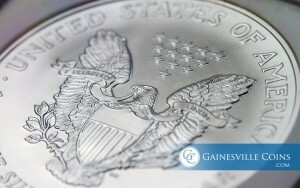 In response to an intriguing revelation about American Silver Eagle (ASE) production, the United States Mint has dropped a bombshell on collectors regarding the provenance of Silver Eagle coins produced at the mint's branch facilities in Philadelphia and San Francisco. Traditionally, only the West Point Mint (which also is home to a strategic bullion depository) would produce the bullion version of the mint's flagship silver coin, the Silver Eagle. However, new information reveals that a relatively small quantity of these coins have actually been struck at the mint's other facilities from 2011 to today to meet rising demand for silver. Through research and old-fashioned determination, the certification service Numismatic Guaranty Corporation (NGC) has discovered how to verify where the coins came from. Now, collectors are pining for these scarcer Silver Eagle coins that can be attributed to the other mints. It makes sense that the U.S. Mint would marshal its other coining facilities to satisfy the explosion in silver demand that began in earnest in 2011. Here's the catch: They didn't tell anyone about it. Only special collector's editions of the Silver Eagle bear a mintmark that identifies where the coin was struck: "W" for West Point, "S" for San Francisco, or "P" for Philadelphia. On all bullion issues, irrespective of their location of origin, the mintmark is omitted. Yet, when it became known that 2017 ASEs were being produced at Philadelphia and San Francisco, NGC and Coin World looked into the matter. Between 2011 and 2013, the mint used different colored straps to seal the 500-coin "monster boxes" that authorized distributors receive. Within each box, the coins are contained in 25 separate tubes (or "rolls") of 20 coins. Sometimes these monster boxes are sold to customers still sealed, although in other instances a distributor or wholesaler will sell the coins individually. The color-coding system was abandoned after 2013. Beginning the following year, this straightforward system was replaced with the use of serial numbers on the boxes. Extensive research and dogged Freedom of Information Act (FOIA) requests made by NGC—and Coin World—in February have allowed these organizations to determine the origin of Silver Eagles minted between 2014 and today for certification purposes. The 2017 data is accurate as of March 20th. 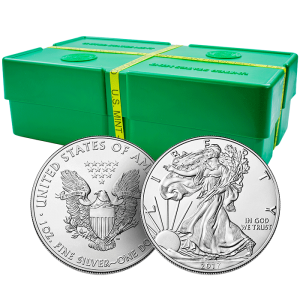 Of particular note are the 2015 Silver Eagles from the Philadelphia Mint, which had a minuscule mintage of less than 80,000 coins. This makes it the rarest bullion-strike Silver Eagle in the three-decade history of the series! By comparison, West Point produced almost 47 million ASEs the same year! Aside from uncovering which monster boxes came from which facility, the certification experts at NGC can also employ grading techniques to flag identifying characteristics and patterns in the strike of the coins that can place them to a particular mint. This same method is used to link antique coins to specific dies and production runs in the past. NGC as well as Professional Coin Grading Service (PCGS) will now grade and certify Silver Eagles from the years in question with an attribution (shown above) indicating which branch facility struck the coin. The opinions and forecasts herein are provided solely for informational purposes and should not be used or construed as an offer, solicitation, or recommendation to buy or sell any product.